Anyone interested in the trials, tribulations, and contributions of the Extraordinary Chambers in the Courts of Cambodia (ECCC) to the development of international criminal law and justice, look no further than Professor Nina H.B. Jørgensen’s outstanding primer, The Elgar Companion TO THE EXTRAORDINARY CHAMBERS IN THE COURTS OF CAMBODIA (The Companion to the ECCC). If there are any doubts about the ECCC’s legacy, particularly its positive contribution to international criminal jurisprudence, Professor Jørgensen has put them to rest. Thanks to her critical analysis of the ECCC’s procedures, of the cases tried and currently under investigation, and of the jurisprudence the ECCC has produced over the past decade – especially considering the general environment and context in which the ECCC operates – it is hard not to be impressed with the accomplishments of the ECCC, despite its numerous shortcomings and disappointing failures. Before I go on, and having practiced at the ECCC since 2007, and being familiar with the cases, procedure, jurisprudence, inner-workings, challenges, accomplishments and failures, let me just cut to the chase: I unreservedly recommend Professor Jørgensen’s book, not only to just those interested in the ECCC, but to anyone practicing or hoping to practice international criminal law anywhere and in whatever scope – this also includes judges who should take note. I also recommend The Companion to the ECCC to those involved in conceptualizing future ad hoc international(ized) criminal tribunals or courts. Many court insiders (legal officers, consultants, experts working for Chambers, the Prosecution or the Registrar) write about the tribunals or courts of where they have worked. 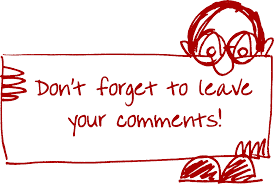 However, few, in my view, can bring the requisite intellectual rigor to their analysis with clarity, detachment and appropriately measured assessments and critique that invite the reader to reflect without imposing rigid or blunt/over-simplistic conclusions aimed to persuade as opposed to provoking critical thinking and reflection. Professor Jørgensen is one of the few. I do not agree with all of her analysis. Even when I disagree, however, I found myself questioning my own assessments and conclusions. Might it be that I misapprehend the particular reasoning of a Decision; might it be that being too close to a Decision my analysis is skewed by subjectivity; might it be that for whatever reasons I fail to appreciate alternative perspectives from which to consider a particular procedural or substantive Decision? Having first worked at the ICTY before taking a taking a position at the ECCC as a senior adviser in the Tribunal’s Pre-Trial and Supreme Court Chamber, Professor Jørgensen was well placed to write about the ECCC. She not only knew much of the jurisprudence before embarking on her journey to produce a well-rounded primer on the ECCC, but she was familiar with its inner-workings, many of the personalities involved, modern Cambodian politics, and so on. The value of such knowledge and experience comes through from the way the text is organized, to the topics covered, to the emphasis placed on some issues as opposed to trying to cover everything and anything, to her simple and clear presentation of complex issues, to her not getting lost in the weeds at the expense of giving a broad overview of the ECCC, to the copious citations and authorities for the reader to consult if interested in greater detail. The Companion to the ECCC is divided into 12 chapters. After covering the events leading up to the establishment of the ECCC in the introduction, the text is logically structured covering the ECCC’s Legality (2), Structure (3), Procedure (4), Cases (5), Proceedings (6), Crimes (7), Liability (8), Sentencing (9), Victims (10), Legitimacy (11) and Legacy (12). While I found mildly wanting the treatment of the historical events in the introduction, while I would have preferred a more in-depth treatment and a more critical analysis of some procedural shortcomings that emerged during the trial proceedings in her final chapter on the ECCC’s legacy, on balance, Professor Jørgensen presents a balanced, representative and impressive overview of the ECCC – exactly what a companion should deliver. To those unfamiliar with the civil law system, they will find the chapter on the Structure (3) of the ECCC particularly informative. Considering that the ECCC’s structure and its working involves Co-Investigative Judges (everything is ‘co’ at the ECCC in that there is a national and international component), a Pre-Trial Chamber, a Trial Chamber, the Supreme Court Chamber, Co-Prosecutors, Co-Lawyers, Civil Parties, the Defense Support Section and the Administration, making sense of how the ECCC works – which at times can give the impression of a five-ring circus – is not easy. Deftly, Professor Jørgensen covers this ground and more with relative ease and accessibility. Of the rest of the chapters, I just want to highlight a few of my impressions; it would take up way too much space to go into each chapter in detail, since they are literally packed with all sorts of information, best appreciated (and not spoiled in a review) by reading The Companion to the ECCC cover to cover. However three chapters in particular stand out. In the chapters covering the Proceedings (6), Crimes (7), and Liability (8) Professor Jørgensen truly shines. These chapters should be mandatory reading to all those currently working or aspiring to work at the ECCC – bar none. It is in these chapters that her exceptional analysis and uncanny unscrambling of the ECCC’s meandering procedural and jurisprudential practices and decisions -as they traverse from the Co-Investigating Judges to the Supreme Court, from Case 001 to Case 002/01 and 002/02, to Cases 003 and 004 – that one gets a sense of the extraordinary work-product generated by the ECCC, which in no small measure, in my view, is as ground-breaking as it is sound. 1 After nearly 12 years since its inception, and with a price tag of over $200 million dollars and counting, the ECCC has completed one Case 001, against KAING Guek Eav (alias DUCH) and Case 002/01, the first part of Case 002, which was split up with the expectation that there would be several mini trials so that at least some convictions could result against the senior leaders who at the time were mostly octogenarians. Case 002/01 resulted in convictions of the two remaining senior leaders, NUON Chea and KHIEU Samphan in 2014 by the Trial Chamber, which the ECCC Supreme Court Chamber confirmed on 23 November 2016. Waiting in the wings are three accused, MEAS Muth in Case 003 (my client), and AO An and YIM Tith in Case 004. It is anyone’s guess if and when, these cases will come to completion. Not that everything is rosy or unproblematic, as Professor Jørgensen aptly notes. Impressively, she points out the numerous missed opportunities, wrong turns, unforced errors, and graspable solutions ignored or unappreciated. At times I would have preferred Professor Jørgensen to have taken the gloves off and to have been a more forceful in her criticism, but then again, it is her nimble, cogent, and understated analysis and tone that give her opinions, when offered, a weightiness that beckons reflection, if not outright acceptance. The last chapter on the legacy (12) of the ECCC, though informative, as I’ve noted, was somewhat lacking. I would have preferred, for instance, a fuller explanation – from an insider’s view – on whether the ECCC model worked as intended, whether any designed shortcoming could have been avoided, whether the ECCC or the civil law model with an investigative judge should be considered for any future ad hoc tribunals, and to put it bluntly, a fuller treatment of some of the shenanigans of the Trial Chamber surfaced during the trial proceedings – though I acknowledge that my perspective is that of a defense lawyer who was in the thick of some of the Trial Chamber’s actions I allude to (and have written about), which, in my opinion, were irregular and even beyond the pale. 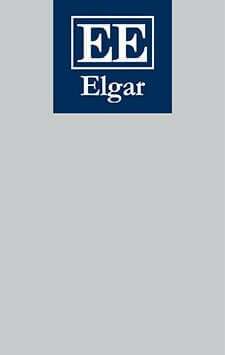 Overall, despite my criticisms, The Elgar Companion TO THE EXTRAORDINARY CHAMBERS IN THE COURTS OF CAMBODIA, is an excellent contribution to our understanding of the ECCC and its contribution to international criminal law and justice. Having profited immensely from Professor Jørgensen’s comprehensive and careful overview of the procedural and substantive analysis of the work carried out by the ECCC, I highly recommend her book. 1. ↑ After nearly 12 years since its inception, and with a price tag of over $200 million dollars and counting, the ECCC has completed one Case 001, against KAING Guek Eav (alias DUCH) and Case 002/01, the first part of Case 002, which was split up with the expectation that there would be several mini trials so that at least some convictions could result against the senior leaders who at the time were mostly octogenarians. Case 002/01 resulted in convictions of the two remaining senior leaders, NUON Chea and KHIEU Samphan in 2014 by the Trial Chamber, which the ECCC Supreme Court Chamber confirmed on 23 November 2016. Waiting in the wings are three accused, MEAS Muth in Case 003 (my client), and AO An and YIM Tith in Case 004. It is anyone’s guess if and when, these cases will come to completion. Next Next post: Pompeo’s thuggish threats against the ICC: a Trumpian call or electioneering hyperbolic fodder?